Tinted Portrait of Bernese Mountain Dog "Gorby"
This tinted dog portrait was commissioned in 2012 by a client in Ireland. 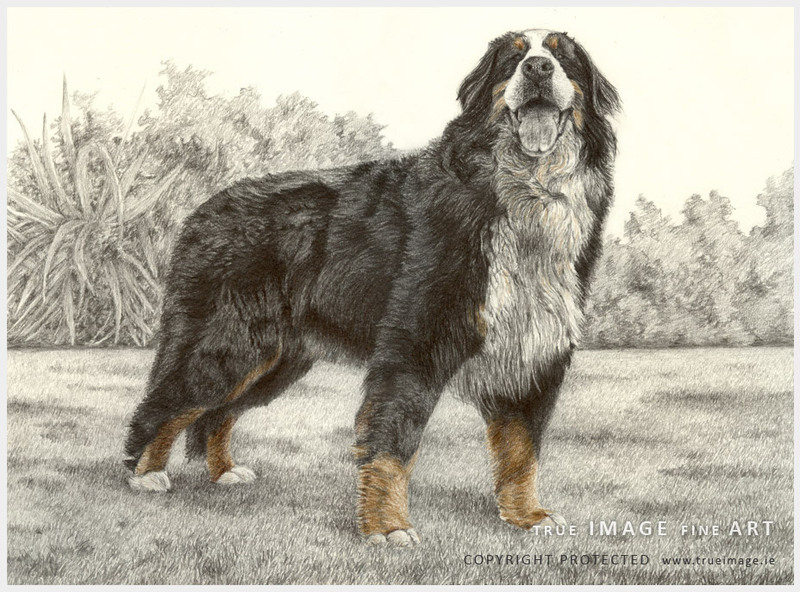 The portrait is of a bernese mountain dog called Gorby. 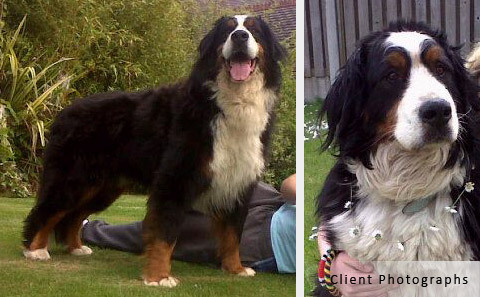 Gorby sadly passed away in June 2012 after a 6 month battle with cancer. The client wanted his portrait as a Christmas gift for her father, Gorby's owner. She described him as a "fabulous dog" and wanted to show that in the portrait. The drawing was 30 x 25cm (12" x 10") in size. We used her favourite photograph of him as a reference. The only adjustments made to the reference photo was the background, adding some foliage on the right to balance with the left side. I kept the background very simple so that Gorby is the main focus of the drawing. Happy Christmas Ivana, just wanted to thank you again, dad cried and cried when he unwrapped the picture. Gorby really was part of our family and now can be remembered forever as the beautiful dog that he was!! It's just amazing it really is. Thank's again."